‘Reformatio Legvm Ecclesiasticarvm’ – Henry VIII, King Edward VI, and Elizabeth I. Come on man! Let’s do this! Do you want to know what a Christian is? Golden Lady of the bible. How to find a bf with a ‘clean mind’. HS1 – The bible is Tongues! HS2 – The Tongues of Demon-Angels. HS4 – Miraculous activity does not prove your salvation. HS5 – Did people receive the Holy Spirit during the Old Testament period? HS7 – How do you recieve the gifts? HS8 – What does it mean to be “Filled with the Spirit”? HS9 – What does it mean to be led by the Spirit? HS9.1 – What was the purpose of biblical miracles? HS9.2 – Are Miracles necessary today? Islam is a Religion of Peace – for the most part. Mental health awareness in shepherding. The right focus on Youth Ministry! The Summe of The Holye Scripture. I personally have been strongly advised to seek help in the form of several hours reading of a 286-page book on one psychologist’s view of how to have a good relationship. 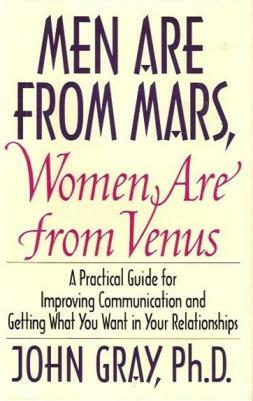 This ‘great’ book begins with a titillating bit of anthropology with man and woman coming from different planets. The cover hits the nail on the head, ‘getting what you want in your relationships’. I then learned that women need not apologise for ‘yelling and grumbling’, (pg 51) ; women should set ‘limits’ on how much they love, (pg 52); from the overflow of a woman’s heart her mouth does not speak, (pg 67); worry is good for women, (pg 76); men don’t sin in anger, selfishness, pride and neglect,….. No… they….’pull away’, (pg92); we don’t have to change each other, (pg 104); men should ‘release their judgments’ about women, i.e.. should not impart judgments regarding them, to them, (pg 121); love often fails, (pg 142); women shouldn’t offer advice to men unless they ask for it, (pg 146); there are two kinds of men, (pg 147); women should ignore that men are upset, (pg148); woman ‘automatically’ sin when challenged, i.e.. ‘mistrust and reject’, (pg 153), women shouldn’t deny themselves, (pg 157); resentment is a sickness, (pg 191); have a score keeping perception of the relationship, (pg 193); we should write love letters to our Higher Power, (pg 228); the secret of communicating feelings is writing them down, (pg 238); we all have a little person inside of us (pg 244, pg 145); when a man grumbles it is a good sign, (pg 266); wise people see a therapist to deal with deep feelings, (pg 282). Besides all these, many aspects of my own character are described as women’s characteristics, such as ‘discovering what I want to say through just talking’ and ‘misinterpreting the silence of others’. Likewise aspects described as masculine are just as common to women, like withholding feelings etc. Behaviour is described as cyclical rather than changeable giving the impression of predictable results when applying the solutions offered in the book. I am supposed to remember all these ‘facts’, and recall them, in real life situations. I am to interpret and think in terms of these principals, to analyse my heart and mind according to this man’s wisdom. Disaster. The book does have the redeeming feature of mentioning forgiveness once, on page 196. I am glad I read this book, but only to be able to educate christians to stick with the Word and books written around it like, ‘Friends & Lovers’. This book is as riddled with false teachings as the body in the final throes of cancer. In my opinion I would not propose that christians use it as a source of ideas for their relationships. I would not advocate or recommend a book or others like it without first having read it and spied out its doctrine accurately.